However, I don't want to do just any fitness challenge. Because fitness challenges usually imply that there's an end point, and then you can relax after it's done. I would like to do a fitness challenge that has lasting effects. 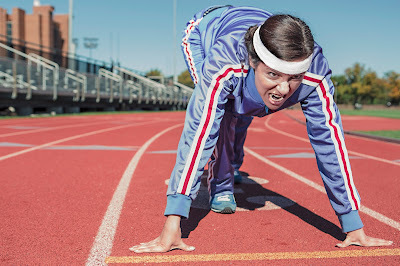 Suffice it to say, I would LOVE to never have to start over ever again, so I need a fitness challenge that is more about building healthy habits and less about badassery or weight loss (though, I'm not opposed to badassery as a side perk). This is also not a secret, but I'm a huge John Green fan, and I've been following his 100days channel on Youtube, where he and his best friend are spending the first 100 days of 2017 focusing on making lasting changes in their own (mental and physical) health and fitness. They're not using weight as a guideline. This isn't a weight loss challenge. As John Green says in the video above, weight as a metric is helpful for some people, but not for him. And it's definitely not helpful for me, if I want to maintain a healthy, positive perspective on my body. While they did get guidelines from a nutritionist, they don't beat themselves up about veering off plan or forgetting to track their meals. And there aren't any specific, extreme diet guidelines that I can tell, so they're definitely not trying to tell their viewers to eat what they eat. In other words, they care about their diet, but they're not obsessing about it, which is definitely something new for me, because nutrition challenges always become an obsession for me while I'm doing them, to the point that I have to reframe my life around my meals. And I hate that feeling. They have planned rest days. This isn't 100 days of movement, and I don't think I could do it if it was. Purposeful, intentional rest days (not "Oh, I just didn't feel like it" days) are just as important as workout days. They're incorporating mental health as well. John Green has talked about his mental health issues before on his main vlog channel, and he's mentioned quite often how participating in this challenge has helped alleviate some of those issues. I don't struggle with the same issues he does, but I do have my own demons to fight, and I like the idea of including mental health as part of a health and fitness challenge. So, I want to do this too. Maybe not the exact same thing they're doing, but something similar that is adaptable to my life. The first thing I need are some guidelines for myself. Something low-pressure enough that I'm not setting myself up for failure, but something that definitely will bring about change. 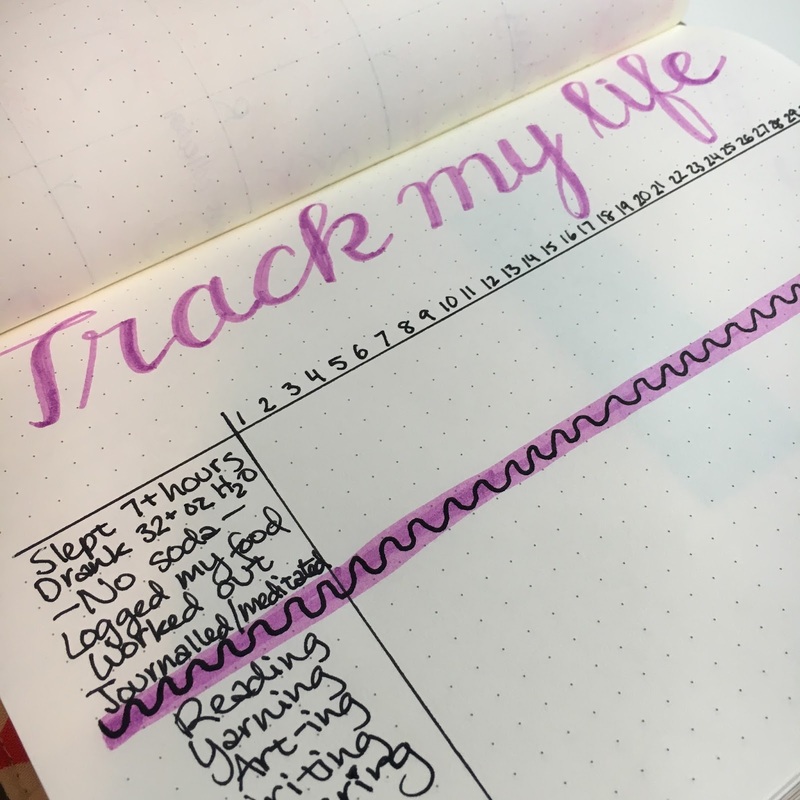 Luckily, I've already got some ideas in mind - I already track healthy habits in my bullet journal, but since I haven't been making them a priority, a lot of those boxes don't get marked off as often as they should. So maybe that's where I should start - I already have these goals/intentions in place, and now I need to make them a priority so I can check off those damn boxes. 1. Sleep at least 7 hours a night. When I don't sleep enough, it's usually because I get distracted by my computer, my hobbies, etc. I need to just get in bed and turn off the light. 2. Drink at least 32oz of water a day. I know, the guideline is more like 64oz or something, but for someone who just really hates drinking plain water, 32oz a day is a huge deal. Baby steps. Additionally, stop drinking soda. We can all find studies that contradict each other about the helpfulness of many types of foods, but I'm pretty sure that soda is generally accepted as unhealthy. And I need to stop. 3. Log what I eat. I've done food challenges in the past where I tried to restrict what or how much I ate, and while they did lead to me feeling healthier, they weren't sustainable changes for me, especially on days where it's not strictly up to me what foods are available. But logging what I eat, no matter what I eat, is always within my control. And like John Green has been saying, he's much more likely to make healthy choices about his food when he knows he's going to be logging it. (And, I mean, come on... let's not pretend that I don't already take pictures of my food.) I'm not going to track nutrients or macros or anything like that, because that's too much for me. Let's just start with this simple but huge step of simply logging. 4. Work out 3+ times per week. Conventional wisdom states that you start experiencing the benefits of exercise at 30 minutes of moderate movement, five days a week. But I've never been one for "conventional" when it comes to my workout choices. You know me - I love lifting and running, and those are two things I want to get back into doing regularly. 3 days a week sounds like a low number, but for me, that means making it to every lifting session for the week, and I want that to be my baseline of exercise. If I do nothing else, I at least need to go lift, because I want to become a serious competitor in the not-so-distant future. Anything on top of that - running, swimming, etc. - is gravy. 5. Spend some time reflecting/pausing every day. Reflection looks different for everyone. Mostly, I like to journal (and blog, obviously). Some people meditate. (I haven't done much of it, but I'm willing to try it.) 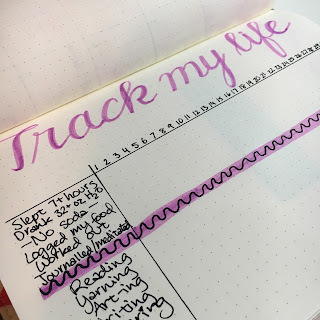 I originally wanted to attempt to do morning pages, but my mornings will never not be hectic, so maybe I can do some reflecting before bedtime instead - I already sort of do this when I write down my daily recaps/gratitude in my BuJo and fill out my tracker. I also have an Apple Watch, which includes a Breathe app, where you get reminders to take a minute to do some timed breathing exercises. Five focus areas for 100 days starting April 1st. I can do this. And you can too. Will you join me? You can use my guidelines as a starting point and adjust up or down as you need to. Let me know if you're in, and what your guidelines will be, so I can help cheer you on!